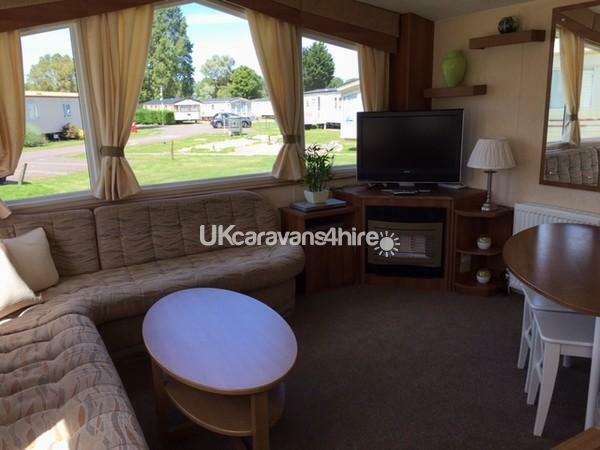 Welcome to our caravan booking site! 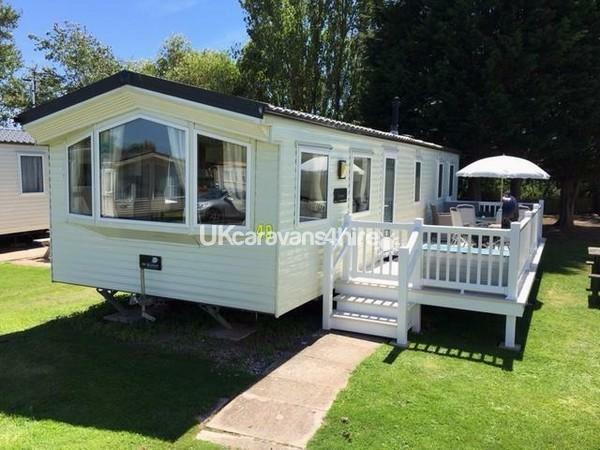 The caravan is located on plot 49 in the serene Fish Cove, in a tranquil part of Butlins Lakeside caravan park. 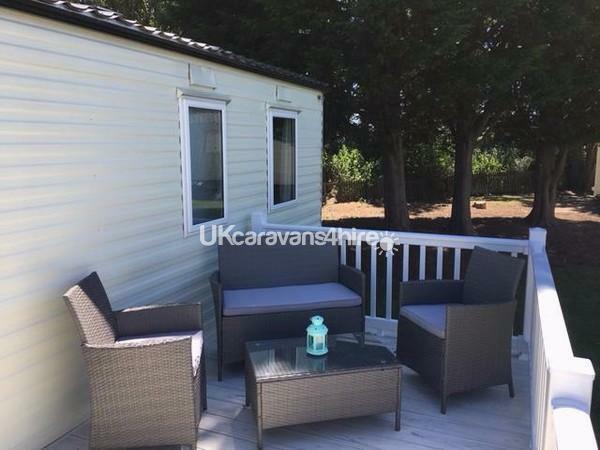 Upon approach to the caravan, you are welcomed by a large veranda, complete with working barbecue (for use with throwaway barbecues only ) a patio set and parasol, with rattan seating provided for extra comfort and relaxation. Alongside the visually-stunning decking, there is also a large grassed area, complete with bench for adults and children to enjoy meals and relax. 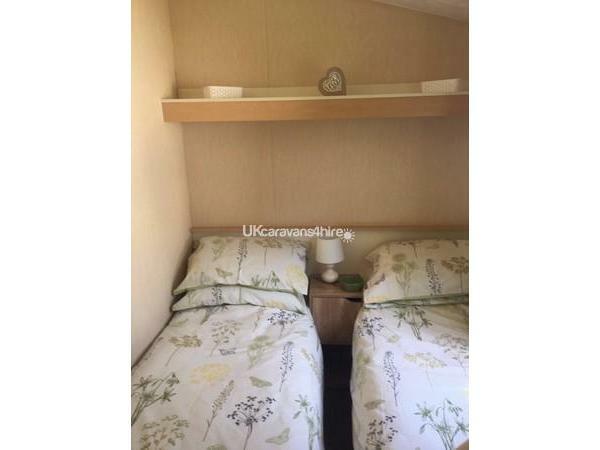 Adjacent to the decking area there is also a storage container for personal use during your stay. 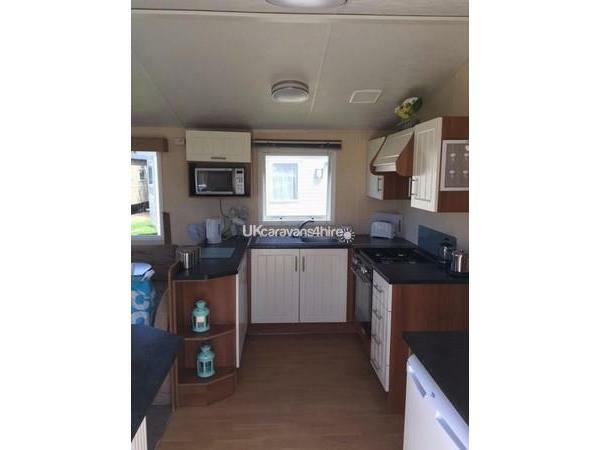 The caravan boasts both central heating and double-glazing, along with a fully-equipped kitchen, including: cooker; kettle; microwave-oven; George Foreman family grill; fridge with built-in freezer; and all crockery and cutlery. 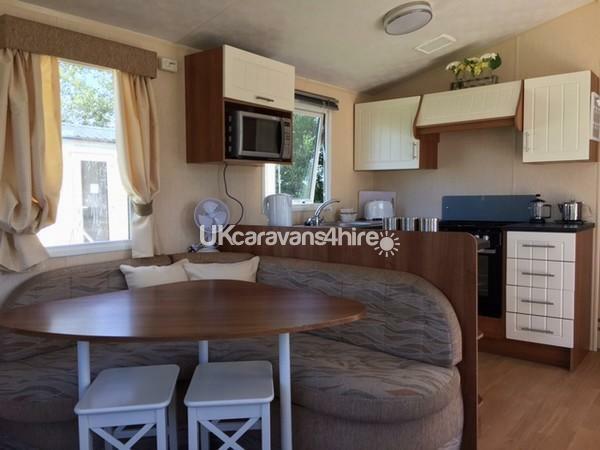 Accommodating eight guests (however a maximum of six adults only) the caravan comes with three bedrooms: a larger master-bedroom; two good-sized twin rooms; along with a comfortable pull-out mattress residing in the lounge area. For families with younger children, please note that a new travel cot is provided, allowing the accommodation to rise to nine (maximum six adults). The lounge and dining area are equipped with a 32-inch LED Freeview colour TV, DVD player and a selection of DVDs to appeal to young and old alike, with gas fire. 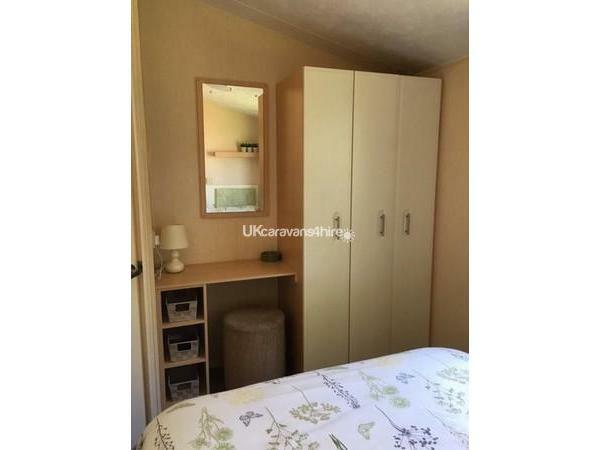 Located within the cupboard next to the television are a range of games and crafts for your enjoyment. 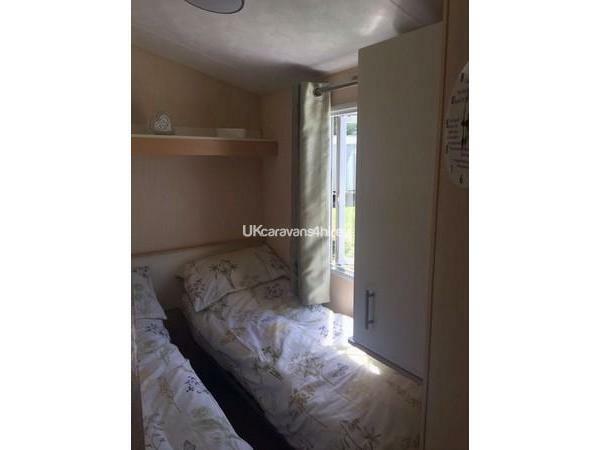 The caravan also includes both a shower-room with w/c and secondary w/c for ease. 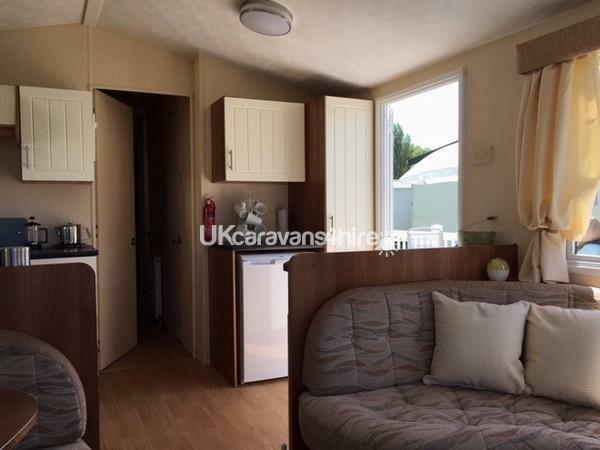 You are also provided with an allocated parking-bay in front of your caravan, which is free during your stay. 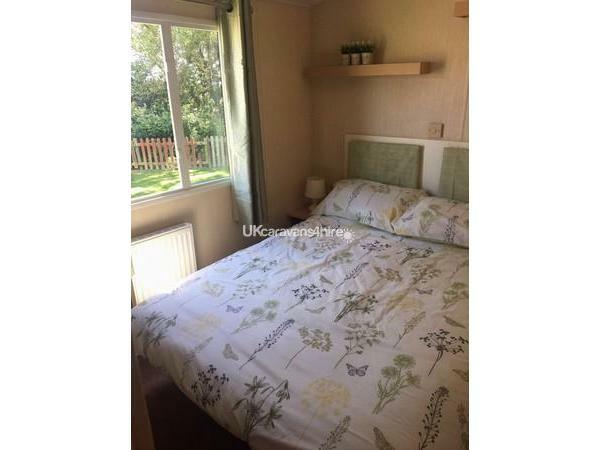 Duvets and pillows are also provided; however your own linen is required. Please see above for our full amenities list. Please visit our Facebook page for up-to-the-minute offers, reviews and updates. 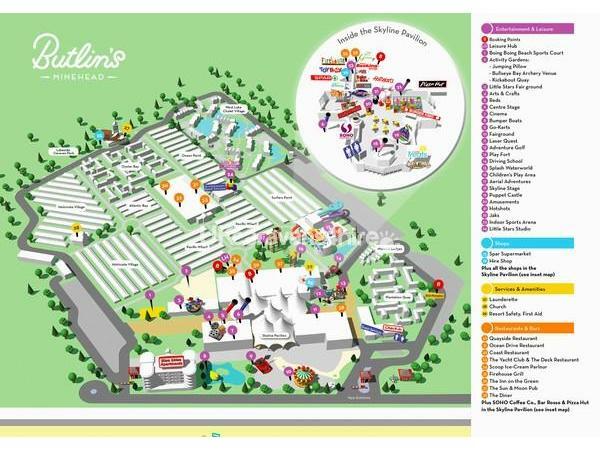 Included in the price is full access to all Butlins resort entertainment and facilities, as well as all utilities (akin to the chalets). Outside of the Butlins resort, lies the quintessential English seaside town of Minehead. Alongside its picturesque sandy beach and promenade (ideal for summer strolls) lie a unique brand of stores, tea-shops, ice-cream parlours and restaurants, bars and cafes. On Fridays, there is an out-door farmer's market in Minehead. Also, on Tuesdays - opposite Brewer’s Fayre and Tescos (two minutes from site) - there is an outdoor market, where you can grab yourself a bargain. Shopping-wise, there are several supermarkets very close by (seen before you approach the Butlins resort), catering for all needs. 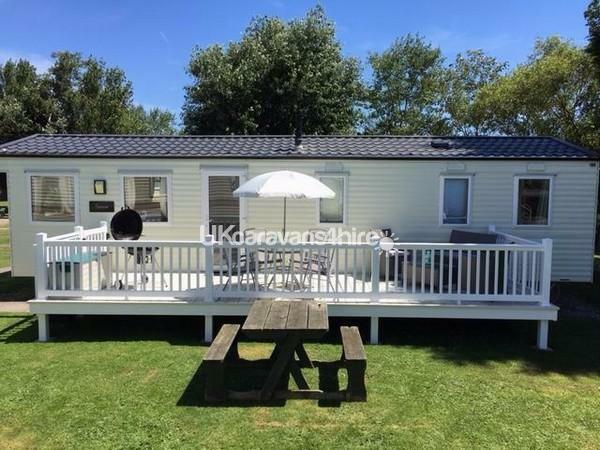 For golfing enthusiasts, the Minehead & West Somerset Golf Course is directly adjacent to the caravan park and offers discounted rates for guests (please enquire with the club). Within five minutes of your caravan, the medieval village and castle of Dunster is situated. For both train enthusiasts and a great family day out, there is the West Somerset Railway, complete with steam engines and the longest heritage railway in England; within a quarter of a mile from your caravan.